Burke, Warren, MacKay & Serritella congratulates OddLot Entertainment on the success of its new release, Hell or High Water. The movie opened in theaters in August and stars Jeff Bridges, Chris Pine and Ben Foster. 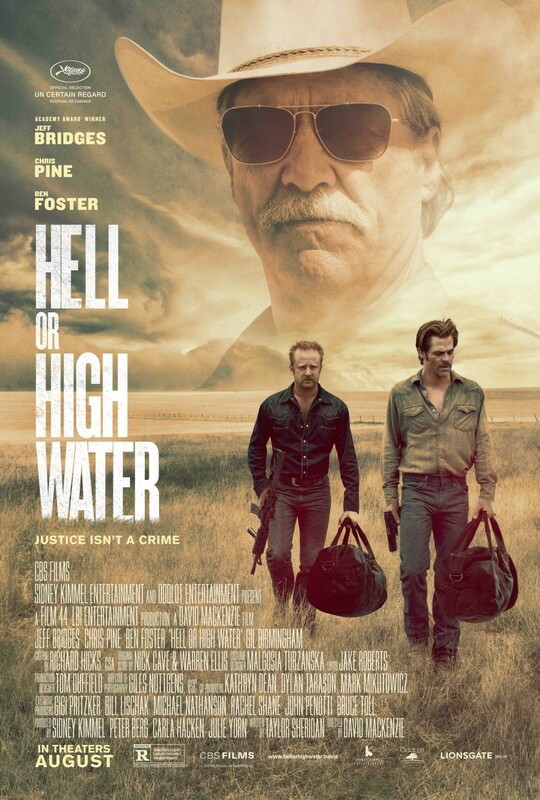 Hell or High Water is an American heist crime film centered around a divorced dad and his ex-con brother who resort to desperate measures to save their West Texas ranch. The movie takes the audience on a wild ride and the critics have given it rave reviews. Hell or High Water scored a 98% Tomatometer rating on Rotten Tomatoes. Hell or High Water is the latest in a series of creative endeavors produced by OddLot Entertainment. Other productions include The Way Way Back (2013) starring Steve Carrell, Drive (2011) starring Ryan Gosling, and the Academy Award nominated Rabbit Hole starring Nicole Kidman (2010). OddLot’s sister company, Relevant Theatricals, produced Chicago’s longest running musical, Million Dollar Quartet. The musical dramatizes the legendary December 4, 1956 recording session at the Sun Records recording studio in Memphis when Elvis Presley, Johnny Cash, Carl Perkins and Jerry Lee Lewis played together for the first and only time. The LA-based OddLot Entertainment has strong Chicago roots and a long-standing professional relationship with Burke, Warren, MacKay & Serritella through its affiliates.